The government continues to criminalise thousands of people despite their own evidence showing that this policy is failing. In 2014, Home Secretary Theresa May commissioned a report in which researchers concluded that they did not “observe any obvious relationship between the toughness of a country’s enforcement against drug possession, and levels of drug use in that country”. May subsequently attempted to remove parts of the report that she did not agree with because she “didn’t like the conclusions”, according to Nick Clegg, who was deputy prime minister at the time. More recently, in November 2017, May doubled down on her commitment to this failed policy; she proclaimed at a prime minister’s question time session that “it is right that we continue to fight the war against drugs”. 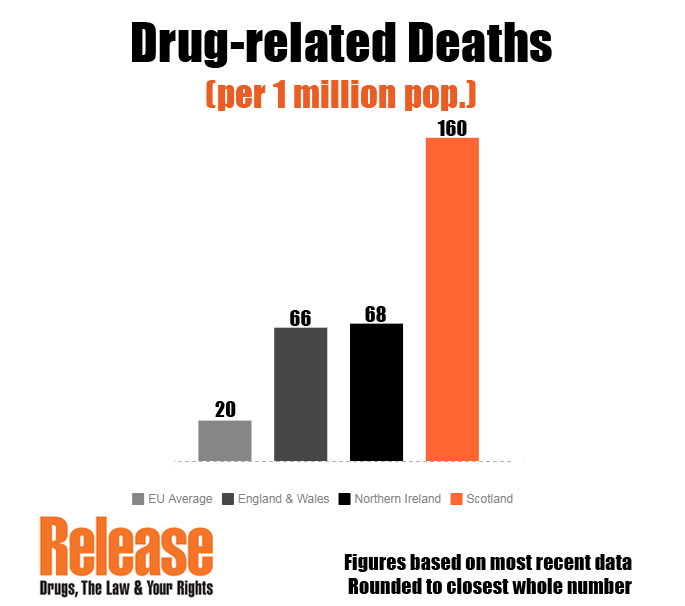 Amber Rudd, the current home secretary, has been slightly more measured in her remarks on drug policy. In a 2017 Huffington Post article, Rudd extolled the government’s approach, portraying it as compassionate towards people who use drugs, and harsh upon those who traffic them; “Unscrupulous drug dealers will continue to face the full force of the law. Being tough on drugs is vital, but it cannot be all we do. It is vital we protect the vulnerable – to prevent them falling into the cycle of drug abuse and to help them turn their lives around”. And of course, for people who use drugs non-problematically – including many of the people involved in the 102,264 cannabis possession offences last year – the government’s punitive approach can lead to criminal records which can be far more harmful than the drug they were using. A caution or conviction for cannabis possession can have far-reaching consequences – from hindering job applications to disqualifying people from obtaining certain international visas. 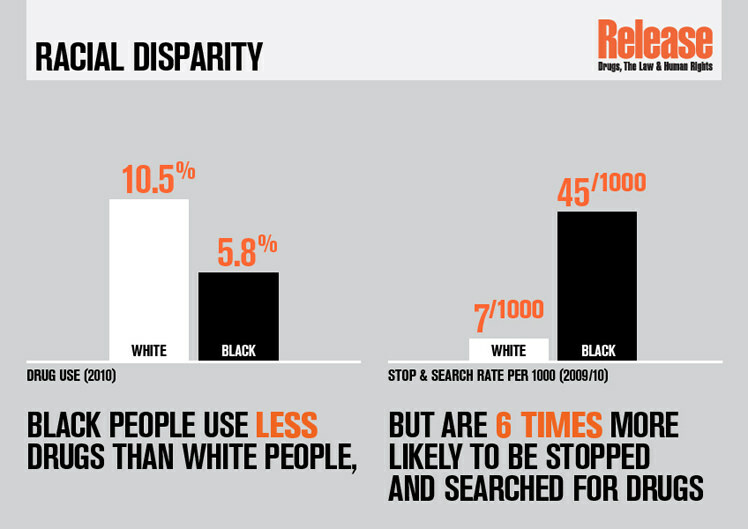 The majority of such searches, which significantly contribute to the criminalisation of ethnic minorities, “were for low-level street possession,” according to the police watchdog, Her Majesty’s Inspectorate of Constabulary. This is despite white people being considerably more likely to have used an illegal drug in the past year than people who are black, Asian, or of an “other” race, according to the government’s own statistics.